A group of investigative reporters claim they have discovered that one of the two suspects involved in the Salisbury nerve agent poisonings earlier this year is a highly decorated colonel from Russian military intelligence. The independent U.K.-based research group Bellingcat and Russian website The Insider on Wednesday published an investigation that they said proved the suspect identified by British police under the alias “Ruslan Boshirev” was in fact Colonel Anatoliy Chepiga. The report said that Chepiga was a special forces veteran who had been awarded the country’s highest state honor, Hero of the Russian Federation, a decoration that is only awarded personally by president Vladimir Putin. 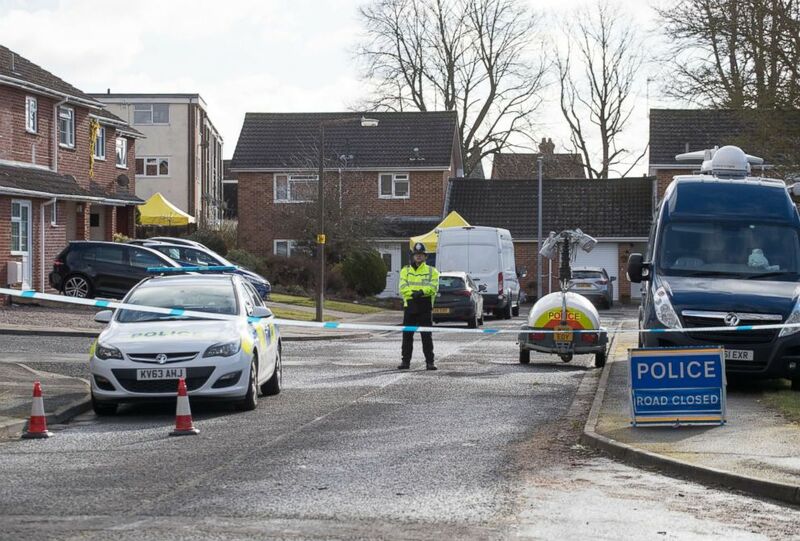 (Matt Cardy/Getty Images, FILE) Police officers search the home of Sergei Skripal in Salisbury, who was found critically ill on a bench with his daughter on March 4, 2018, and were taken to hospital sparking a major incident, in Wiltshire, England, March 8, 2018. The journalists said that Chepiga had served multiple tours in Chechnya and that he had received the award in December of 2014, when Russian forces were fighting in eastern Ukraine. Earlier this month British police named “Boshirev“ and another man, “Alexander Petrov,” as suspects in the poisoning that targeted former Russian double agent Sergey Skripal with a nerve agent in the English city of Salisbury in March this year. Skripal and his daughter were almost killed after a Novichok nerve agent was sprayed onto the door handle of his home in the countryside town. The British government accused “Boshirev“ and "Petrov" of being members of Russia’s military intelligence agency, known as the GRU, and of carrying out a mission on behalf of the Russian state to murder Skripal. After they were named by police, both men appeared in a television interview with the Kremlin-funded broadcaster RT, in which they insisted they were simply tourists who had travelled to Salisbury to see its famous cathedral. The Bellingcat and Insider journalists claimed their investigation dispelled the “tourist” story. If true, the investigation proves conclusively Putin was lying when he said this month that the two men were “civilians” with no connection to the Russian state. Chepiga, according to Bellingcat, was born on May 5, 1979, in the village of Nikolaevka, in the Amur region close to Russia’s border with China. He enrolled in a military academy at age 18, graduating with honors and then joining Russian special forces. Chepiga is married with one child, according to the investigation. The journalists said they identified Chepiga first by looking into elite military academies in Russia’s far east, where they had been tipped off he might have studied. They claimed they stumbled across a photograph that included a man they suspected might be “Boshirev" in Chechnya. They said they were able to use information from that picture to lead them to a paramilitary volunteer website where Chepiga is mentioned as a receiving a Hero of the Russian Federation award. 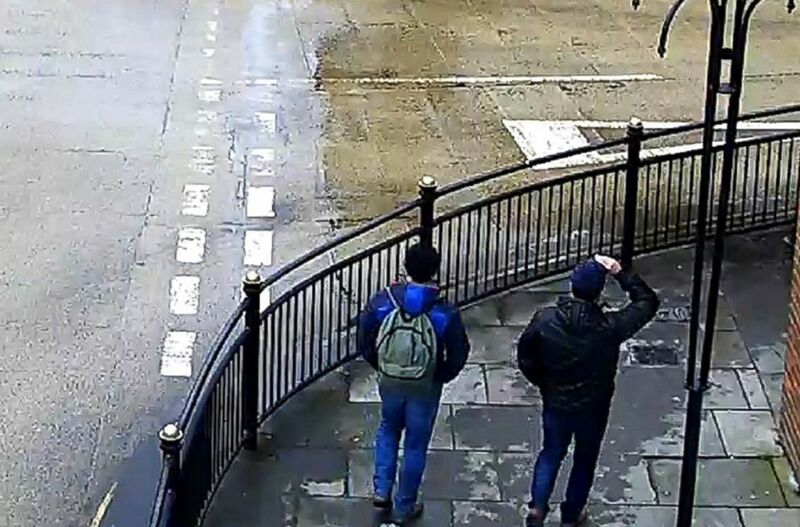 (Metropolitan Police via AP) This still taken from CCTV and issued by the Metropolitan Police in London on Sept. 5, 2018, shows Ruslan Boshirov and Alexander Petrov on Fisherton Road, Salisbury, England, March 4, 2018. Chepiga appears to have no social media accounts and there are no photographs of him online, the Bellingcat and Insider report said. Unusually, there are virtually no details or photographs relating to Chepiga’s Hero of the Russian Federation decoration. Chepiga is described only as receiving it for “conducting a peace-keeping mission” in December of 2014. Other Russian soldiers who have recently received the award with few details mentioned have been found to be fighting covertly in eastern Ukraine or Syria. The website of the military academy where Chepiga studied also mentions that he received the award. British authorities have yet to respond to the report. The U.K.’s Metropolitan Police in a statement said they were “not going to comment on speculation regarding their identities." Police have previously said they believed “Boshirev” and “Petrov” were aliases, not the men’s real names. CCTV released by police showed the two men in Salisbury close to Skripal's house on the day of the poisoning. They visited the city twice during a 4-day trip, with the pair flying out of London within hours of the Skripals falling sick. Britain and the U.S., as well as its European allies, have condemned Russia for the attack, expelling dozens of Russian diplomats in retaliation. (AP/Polaris) Sergei Skripal, a former colonel of Russia's GRU military intelligence service, looks on inside the defendants' cage as he attends a hearing at the Moscow military district court on Aug. 9, 2006.| Daughter of former Russian Spy Sergei Skripal, Yulia Skripal is seen in this undated photo. 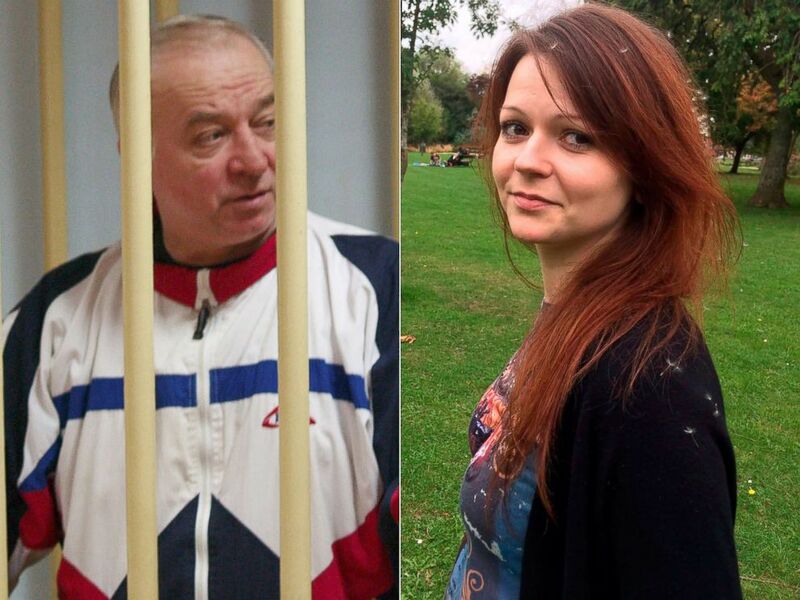 Both Skripals recovered, as did a police officer who was exposed to the nerve agent. A local man, Charlie Rowley later found a modified perfume bottle that police said concealed the nerve agent and which had been discarded by the assassins. Rowley unwittingly gifted the bottle to his partner Dawn Sturgess and both fell sick. Rowley survived but Sturgess died from her contact with the poison. Russia has denied any involvement in the poisoning, repeatedly suggesting that the U.K.’s government might have carried out the attack itself. Russia’s foreign ministry has previously denounced Bellingcat, alleging the group is related to Western intelligence agencies. Bellingcat is a group of journalists and researchers that have built their reputation around open-source investigations, often using social media and image analysis. They have specialized in debunking claims by the Russian military about Syria and Ukraine, and received wide attention for their highly-regarded investigations into Russian involvement around the shooting down of Malaysian Airlines flight MH17 over eastern Ukraine in 2014.